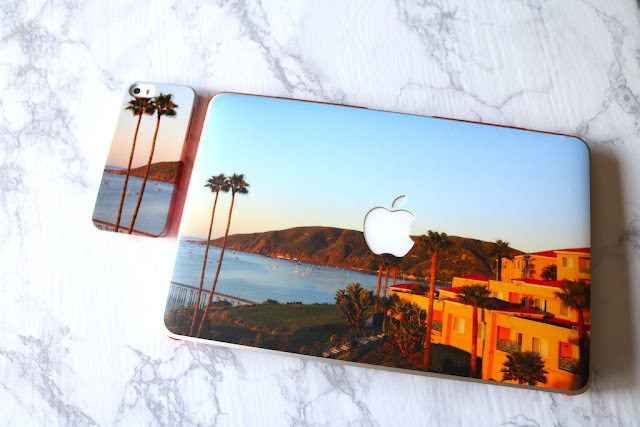 Several weeks ago I was contacted by CaseApp and asked if I was interested in designing a custom iPhone case and a custom laptop skin*. I use my phone and laptop all day long, and I knew right away that I would love to put photos of my happy place on both of them. The process of designing both products was very easy and fun. And I love the way they both came out. Every time I look at them, I'm taken to my happy place, Avila Beach on the California Central Coast. Avila Beach is very special to me as we have spent quite a few wonderful getaways there. It's also a place we spent time with my parents when they were still able to travel. They both loved spending time there, and my dad told me when I visited my parents a few weeks ago that he wished he could visit there just one more time. 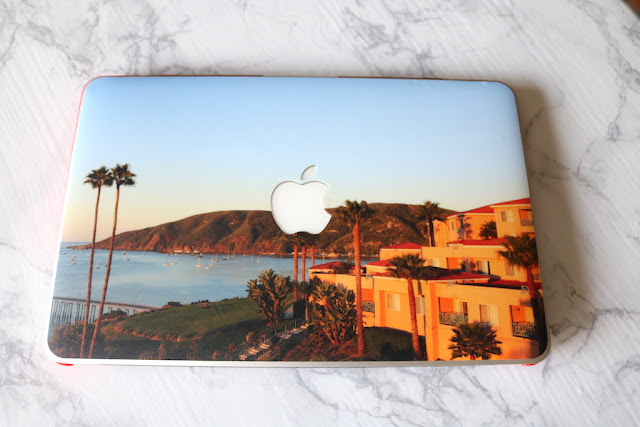 If you want to design your own laptop skin or phone case at caseapp.com, use CODE ANDREAS20 to get 20% off. Questions: Have you ever designed your own phone case or laptop skin? If so, what was your experience like? What photo/saying/graphic would you put on your custom phone case and/or laptop skin? 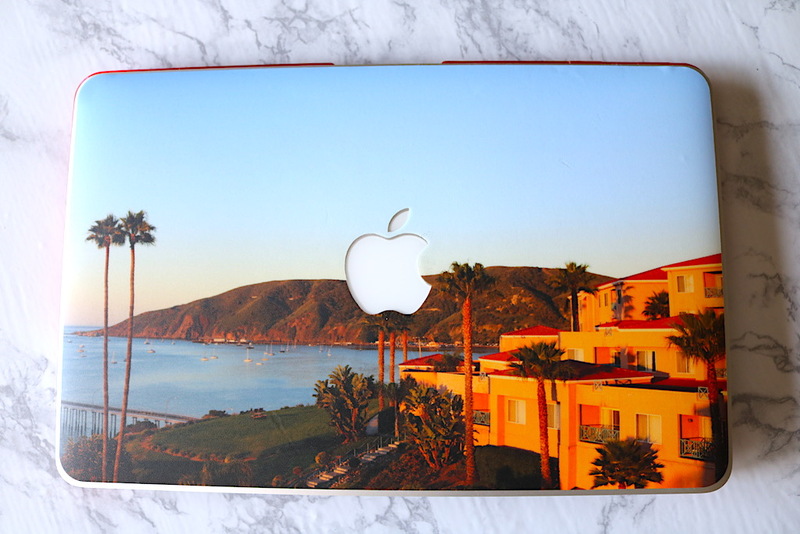 *Disclosure: I was provided with a custom iPhone case and a custom laptop skin free of charge. As always, all opinions are my own. Both are beautiful! I'll have to look into making a case. I'd use a vacation photo. You should! It's so easy! And both products look great. What a great idea to put some beautiful scenery on your phone & laptop!! CaseApp really makes it easy, I think! Thanks, Jodie! And, yes, I love how easy it is! I like both! They would make great gifts, too. Maybe graduation gifts? That's a great idea! I can think of one for Andy! These are def. gorgeous photos and I'd want to dream that I was still there, too! I love CaseApp! Thanks, Carrie! And, yes, CaseApp is great! LOVE!!!!!!!!!!!!!!!!! I would love to look at my happy place all day too!!!! Kind of like the serenity that comes from watching fish in an aquarium. I imagine it's the same tranquility looking at your phone and laptop these days. How sweet that your parents enjoyed visiting this scenic spot. Makes these picturesque covers even more special. 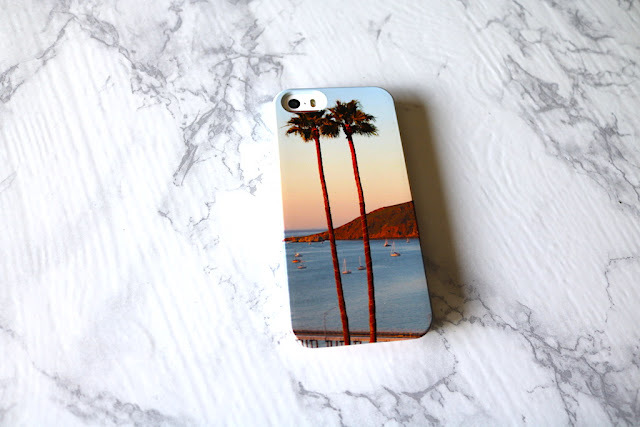 Super cool, Andrea! Gorgeous photos! Thanks for linking up with me! A very cool idea Andrea. I think I would have such a hard time deciding what to put on it that in the end I'd leave it blank. Haha! But for the rest of you who are more decisive than me it is a truly great idea and a way to leave your mark!